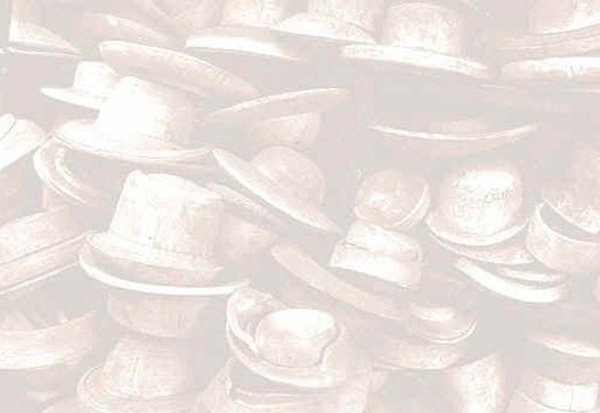 From Fred Astaire to Bing Cosby, Frank Sinatra, this hat got it's start when it was seen is a play by Sardou called "Fedora". Worn by business men, singers, actors, gangsters, presidents, hunters, and today... teenagers. This hat is making it's comeback as a popular style today. I may become as popular as it was in 1881. To the left is a beautiful Panama made by Mike Butler a millinery student in Los Angels, CA. 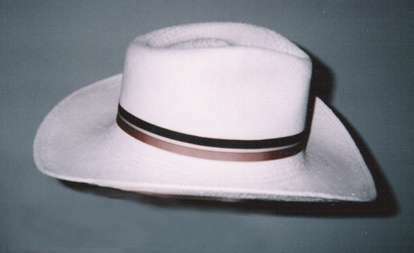 It is made in off-white straw and the brim is wired and sewn, with a beautiful grosgrain ribbon. This amazing hat was made on our Large Fedora Hat Shaper. This style is popular across the generations. With the addition of embellishments and brims you can create wonderful hats! on a Large Fedora Hat Shaper with an add-a-brim.